Price is often used as a measurement of quality, but just because something is inexpensive doesn’t mean it’s junk. And while investing in quality products often pays off, there’s nothing wrong with a good deal, right? Price can also be a barrier to entry and I’m frequently asked whether hammock camping is more or less expensive than traditional tent camping. Claim #4: Hammocks are less expensive than tents. The Truth Is: Yes. No. Maybe? This is a very difficult claim to verify, and a difficult project to undertake. Price is a function of so many variables that it complicates the equation, so the simplest answer is it depends. “Wait,” you say. “What a lousy answer!” I’ll admit I wish I could offer a clear “yes” or “no,” but the reality is, it depends. It depends on your expectations, needs, and wants. It depends on what type of climate and conditions you expect to encounter. It depends on what gear you currently have. It depends on whether you care about buying local. It depends on cost of raw materials, build quality, tariffs, and world economics (what the—?). It depends on how you set up your comparison (materials, dimensions, construction methods, weight). It depends on supply and demand. It depends on brand identity, brand loyalty, brand value, and market saturation. It really depends on everything. To be honest, this post was very difficult to put together because there are so many variables involved. But, if we can both agree that this is just an interesting exercise in “what-the-heck” than we can proceed. This post is definitely a “snapshot in time” and should be regularly updated to reflect what’s on the market. How much is a hammock kit compared with a new tent kit? A direct comparison of hammocks and tents is misguided because the shelter systems are inherently different. When a person goes in to buy a tent, the expectation is that he/she will get a package that includes a floor, a basic structure with enclosed sidewalls, appropriate bug netting, a rain fly, stakes, guy line, and even the poles (shocking!). Tent camping has been commercialized for so long that most people instinctively know the three basic components required: a tent, a sleeping bag, and a pad. Not all hammocks are sold as kits with the requisite bug netting and adequate rain fly, let alone hanging kits (webbing traps and ropes) or tarp stakes. You typically don’t say “I need a hammock, sleeping bag, and pad,” you have to say “hammock, bug net, tarp, suspension, guy line, stakes, sleeping bag, and pad.” To complicate matters, the size and shape of some items differ widely (e.g., hammock dimensions, bug netting, and tarps). In other words, no standardization. In most cases, turning a hammock into a viable camping shelter requires a bit of shopping around, which could end up being more expensive, especially if you factor in shipping costs from multiple vendors. There are only a handful of manufacturers that sell “all-in-one” kits (Hennessy, Clark, and Lawson to name a few), and even those kits don’t even include the required stakes[1. In my research I found a few manufacturers that actually include the stakes: ENO with their OneLink system, and Pak-it-Lite with the FOB hammock kit.]! Maddening! For the purpose of this post, instead of taking too much time explaining the differences between the shelter types, I’m going to make some assumptions that will give us a baseline for price comparison. Tents are commonly categorized by occupancy and season (e.g. a two-person, three-season tent) and come standard with bug netting and a rain fly. For a better comparison, we’re going to look at hammocks that have integrated, zippered bug netting with an adequate rain fly, compared with a single-person tent. I’m sticking with one-person options because hammocks are designed for a single occupant, even though larger hammocks can accommodate more people, depending on your comfort level. I thought it would be interesting to see how different vendors would compare when you piece together a viable hammock camping kit using only the gear supplied from one vendor. In other words, one stop shopping. Both hammock- and tent-based shelters require and can use the same insulation (e.g., a sleeping bad and bag), so we will exclude these from the overall price since these would need to be purchased for both systems. Nit-pickers will point out that hammocks can use specialized insulation like under quilts, but those aren’t mandatory; a pad works just fine for 3-season conditions. 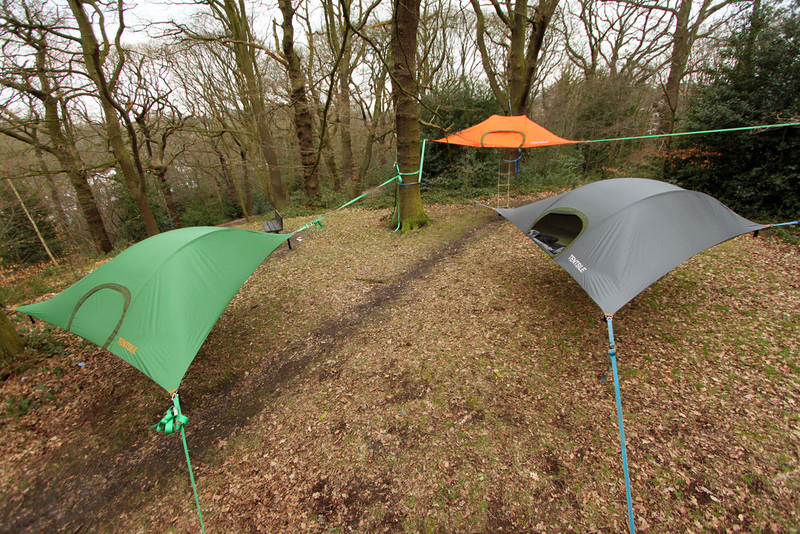 The first table shows a few of the top-rated, single-occupancy tent shelters compared with all-in-one hammock kits from various manufacturers. The second table shows a few hammock vendors who sell all the necessary components separately and their cost. I picked the lowest cost item available and tried to be uniform across the different vendors. These lists are not meant to be exhaustive, only representational from the known hammock vendors at the time of this post. Am I missing a vendor who should be on this list? Please send me a note. If you are looking for a low price, there are certainly options available to you, right off the shelf. However, it seems clear that prices are very comparable to the top single-occupancy tent shelters on the market. To me, I see no clear “winner” in terms of lower price. Certainly someone can find a lower cost tent or hammock kit if that’s what they are looking for. There are also some very expensive hammock kits on the market. I was actually a little shocked when I did the price comparison. When you single out all the required components and then purchase them all from a single vendor, it can get expensive. One advantage, perhaps, with a modular hammock camping kit is the ability to customize the components to your liking, even if its just getting a hammock in your favorite color. The all-in-one hammock kits offer very little color variety, but they are convenient and more approachable for folks just starting with hammock camping. The lowest price I could put together from one source was from Amazon.com, but that might be cheating a little bit since Amazon isn’t a manufacturer, and there are lots of vendors who do what Amazon does, so should I include them as well? This post was all about comparing price, nothing else. This was a simple exercise trying to wrestle down a very big gorilla. It poses some very simple, serious problems because products between vendors are not created equally. Differences in materials, construction methods, dimensions, etc., make an attempt such as this post borderline ridiculous. Then, to try and compare camping hammocks to a brand name tents? Oh, and I should mention that I undertook this research project on my own. I was not sponsored, endorsed, or paid by any of the above vendors or manufacturers to include them in my research. I did a cursory environmental scan of available products known to me to set up a simple price comparison. Good Price Comp. All appears to be good quality gear, not cheap junk that is a total waste. H advantage often over looked is that wind resistant rainfly of tent is very custom while tarps are interchangeable giving more color, weather, cost options. Some long time camping friends boast how cheap their gear is then complain when they get wet, cold, hot etc. I consider how much i spend on gas driving to wilderness, buy reasonable quality, take good care of it. Still have a jungle hammock from 1970s, much better hammocks available today. Good summary, hopefully most will consider what they NEED, not just short term cost. Another way to look at the parts…. where do i buy the ones in the picture? My DD super light jungle hammock is all in one and was $215 delivered including free shipping. Got it 2 days later! They have crazy fast shipping!